+ Elsie from A Beautiful Mess gives hope to all bloggers everywhere. She believes the "blogging industry" is still a baby and there will be great opportunities as it grows and changes. + Sarah tells us How To Juggle A Blog + A Freelance Career + A Day Job + Life. This is advice that I totally need these days. I need to work on promoting and get seriously productive. + Maleficent and A Million Ways to Die in the West both open this week. How will I ever choose? Sunday afternoons were made for difficult choices like this. Which would you choose? + My best work friend swears by Argan Oil. I keep putting off trying it despite that my hair is crying out for it. Kaelah from The Clueless Girl's Guide tells us all about Agadir Argan Oil Hair Products. Now I really want to try the shampoo and conditioner too. Have you ever tried it? + Photography has been my hobby since I was a tiny kid. Last year I finally purchased my first DSLR camera and I am in love. This year one of my goals (before I turn 33) is to buy a new lens. I either want a long zoom lens or a prime lens. Now thanks to Mandi, I know all about prime lenses and am sold. All the prime lenses, you will soon be mine! Ha, ha, ha (that's my evil laugh). + I am guilty of at least five out of these seven stupid ways smart people sabotage their success. Oops! 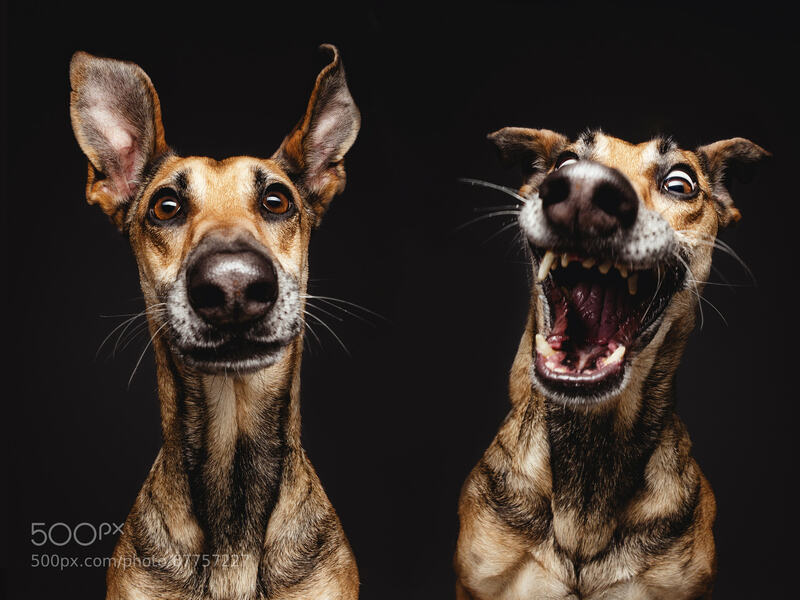 + These dog photos by Elke Vogelsang are THE BEST! One day when I grow up I want to be a pet photographer (amongst other things). + Obsessing over the aqua and red color combination has been filling my evenings. I have gone pin crazy and made the decision that my office WILL be redecorated with this inspiration. You just wait. + When I am not obsessing over paint colors then I am scouring Etsy for home decor. Fellow Photographers may appreciate these items I found. 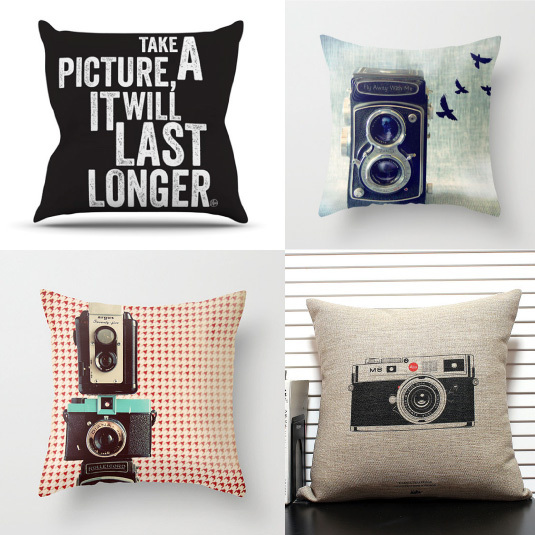 Deciding between these throw pillows is going to be difficult! (Top Left, Top Right, Bottom Left, Bottom Right) Geez, I'll just buy them all!